Product code: 2582 Categories: Sold Items, Sold Omega Watches. 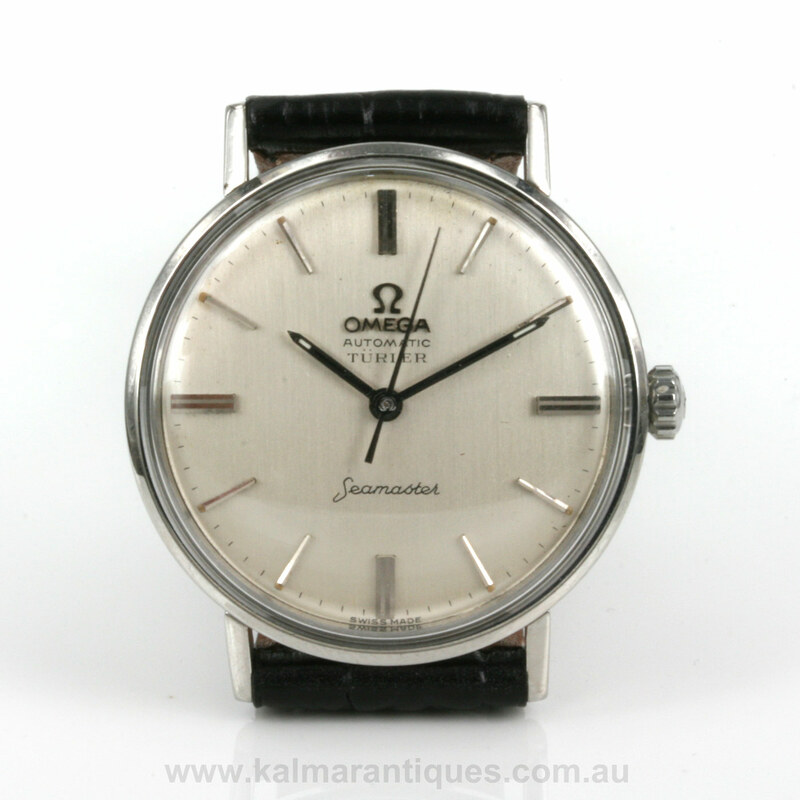 The Omega Seamaster is one of Omega’s most desired models and here is a great vintage automatic Omega Seamaster dating from 1964 that was retailed by Türler in Switzerland. 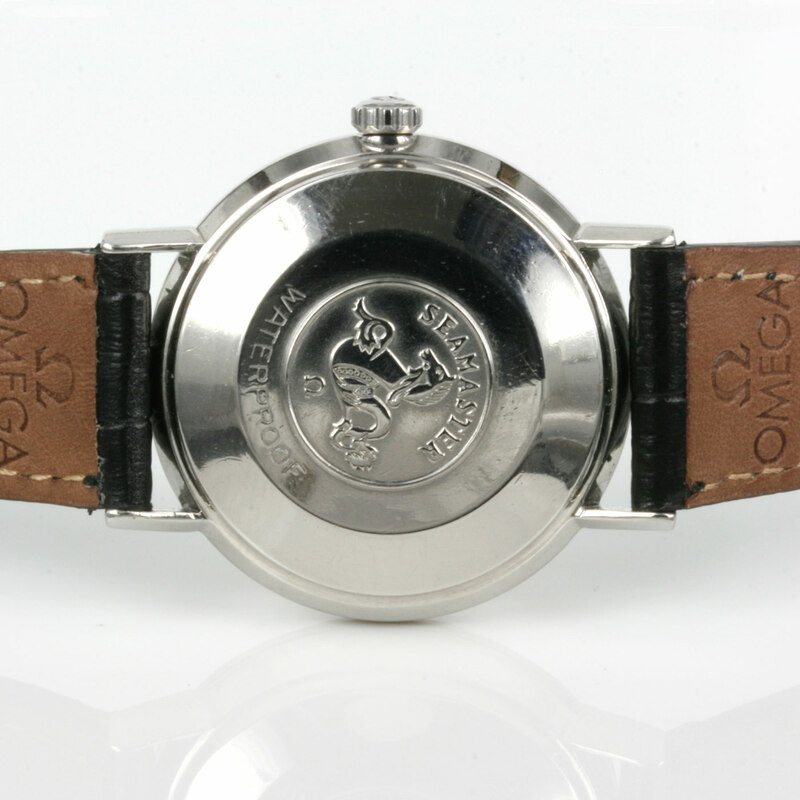 Two brothers, César Alexander and Jean Henri Türler started their watchmaking company in 1883 and is one of the few companies that have ever been officially authorised by Omega to sign their company name on the dial as can be seen on this one. This Omega Seamaster is made in a stainless steel monocoque case that measures 34mm across plus the Omega crown. 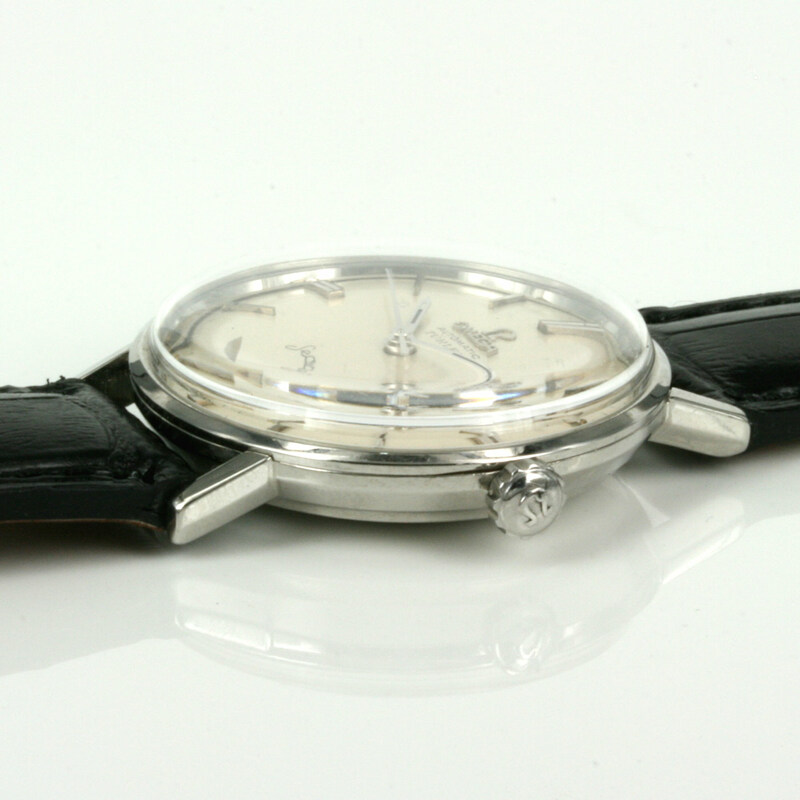 A monocoque case is a case that is one piece meaning the body and back of the watch case are made as one solid unit. This makes the watch even more water resistant than 3 piece cases and the movement of the watch comes out through the front of the case. Inside it is powered by an automatic Omega calibre 552 movement that has just been fully serviced and comes with our 1 year warranty and of course keeps perfect time. The dial is so smart and elegant on the wrist and still looks so good today worn with a suit with the index markers and centre sweep second hand. This is such a handsome example of a vintage Omega Seamaster from 1964 and retailed by the prestigious Swiss jewellery and watch company Türler.